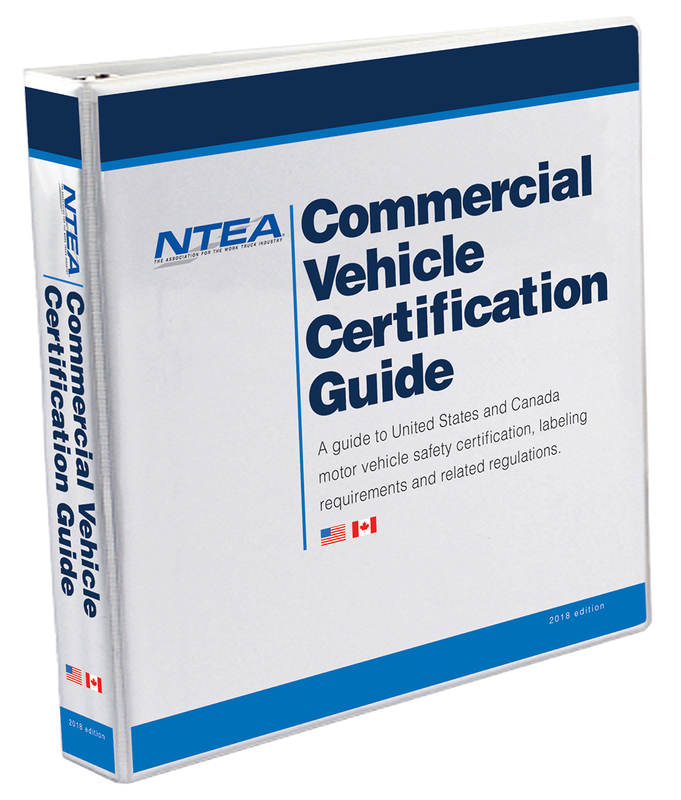 NTEA enhanced the Commercial Vehicle Certification Guide to capture the latest regulatory information in the U.S. and Canada. The 2018 edition offers a more complete representation of compliance mandates and implications facing work truck industry companies in North America. Content addresses safety certification and labeling requirements vital to conformance with National Highway Traffic Safety Administration and Transport Canada regulations. $149 NTEA member/$299 nonmember. Shipping is free. U.S. and Canadian customers can place online orders. NTEA offers free shipping and handling on all standard orders. Additional fees may apply for express orders or some products shipped outside the U.S. Contact us at 800-441-6832 or info@ntea.com with any questions.